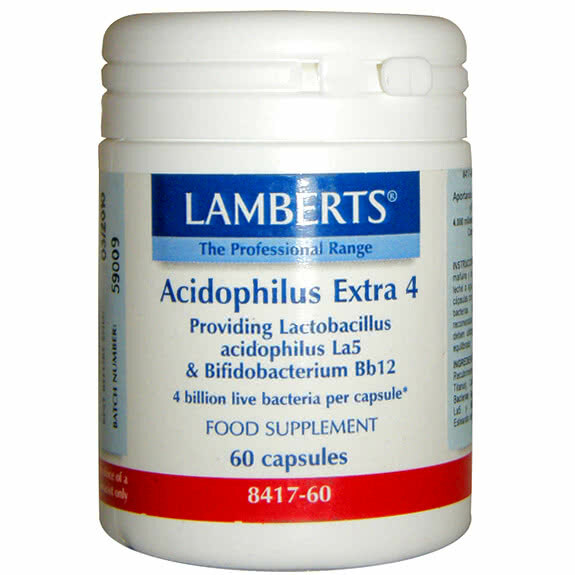 Acidophilus Extra 4 of LAMBERTS ® is a product of high sales, without milk, which provides 4 billion beneficial bacteria per capsule (at the time of their manufacture). While Acidophilus Extra 4 is stable at room temperature to ensure your maximum power, we store it in conditions refrigerated until the time of shipment. We also include a desiccant in every container layer, since we know that moisture is a major factor that can reduce the viability of the bacteria. 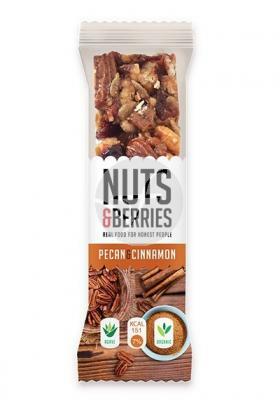 Acidophilus Extra 4 bacteria are freeze-dried and coated by an array of a polysaccharide stable in acidic conditions which gives them a great protection against the highly acidic conditions that you can find in the stomach. people who follow sugar/yeast-free diet. two capsules daily, one in the morning and one at night with a glass of milk or water, or with a meal. Do not swallow the capsules with hot beverages; the heat kills the bacteria. Take it at least 2 hours after taking antibiotics. dextrose, starch, gelatin, titanium dioxide, cellulose, sucrose, magnesium stearate.